Getting behind the wheel of a vehicle after consuming large quantities of alcohol is one of the most reckless and risky decisions any driver can make. Drunk driving can have deadly consequences, as illustrated by the tragic accident that occurred on 137th Avenue in Miami-Dade County. The driver of a 2016 Toyota was traveling on Southwest 137th Avenue and made a left turn onto Southwest 11th Street when the driver of a Hyundai Sonata collided with the Toyota. The driver of the Toyota died at the scene of the crash while his passenger had to be transported to Kendall Regional Medical Center due to the severity of their injuries. Police suspect the driver of the Hyundai was under the influence of drugs or alcohol at the time of the collision. Police indicated that a blood sample was taken and an arrest may be forthcoming, according to ABC 10 News. 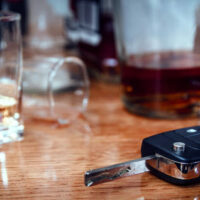 Unfortunately, fatal drunk driving accidents occur quite frequently in Florida. Between 2003 and 2012, over 8,000 Florida drivers lost their lives in drunk driving collisions. As a result, Florida has the third-highest drunk driving fatality rate in the entire country. If that was not bad enough, nearly half of the victims were individuals between the ages of 21 and 34. Fatalities in automobile accidents in general are also quite concerning in Florida. According to the Florida Highway and Motor Vehicles Administration, approximately 3,091 people lost their lives in automobile accident in 2016, which puts the fatality rate at the highest level the state has seen since 2007, according to The Tampa Bay Times. When someone is killed in a drunk driving accident, a wrongful death claim is generally filed against the insurance company of the at-fault driver. This means the policy limits of the insured will play a role in the amount of compensation you can reasonably expect to recover. If the at-fault driver has a bare-bones auto insurance policy, or no auto insurance, you may be able to file a separate uninsured or underinsured motorist claim through your own auto insurance policy. The Miami wrongful death attorneys of Alan Goldfarb, P.A. understand that losing a loved one in a sudden, unexpected accident is heart-wrenching. You should focus on grieving. Let us handle the legal issues. Contact our office today to schedule a free, confidential consultation.